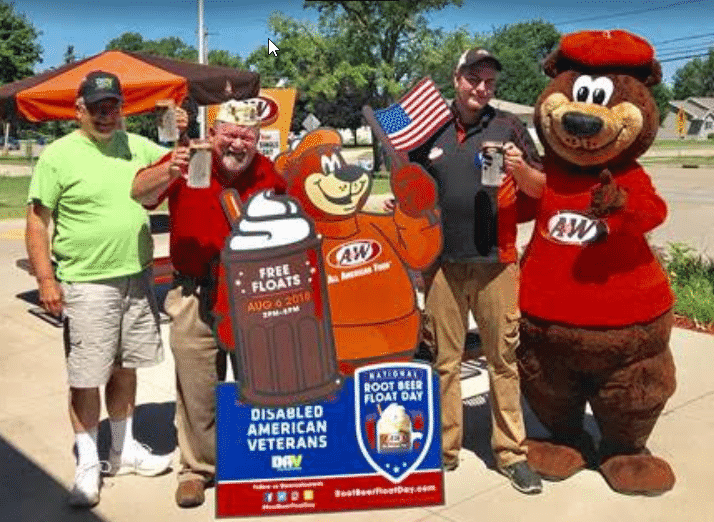 DAV (Disabled American Veterans) and A&W Restaurants are thanking the thousands of Root Beer fans who donated more than $150,000 to DAV on National Root Beer Float Day, August 6. For the sixth year, A&W Restaurants gave away its famous Root Beer Floats as a way to say “thank you” to guests and to raise money for veterans. A&W maintains a special connection with vets, since its first Root Beer was served nearly 100 years ago during a parade for World War I military members. A&W celebrates its centennial just a year before DAV. 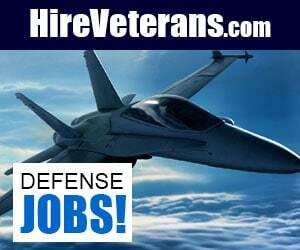 DAV has been dedicated to a single purpose: empowering veterans to lead high-quality lives with respect and dignity. 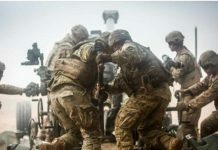 While much has changed throughout the nation since DAV’s founding in 1920, the charity’s commitment to the men and women who served and sacrificed has never wavered. Last year, DAV helped over a million veterans and their families across the country. Since it started to celebrate National Root Beer Float Day, A&W has raised more than $800,000 for veterans groups.